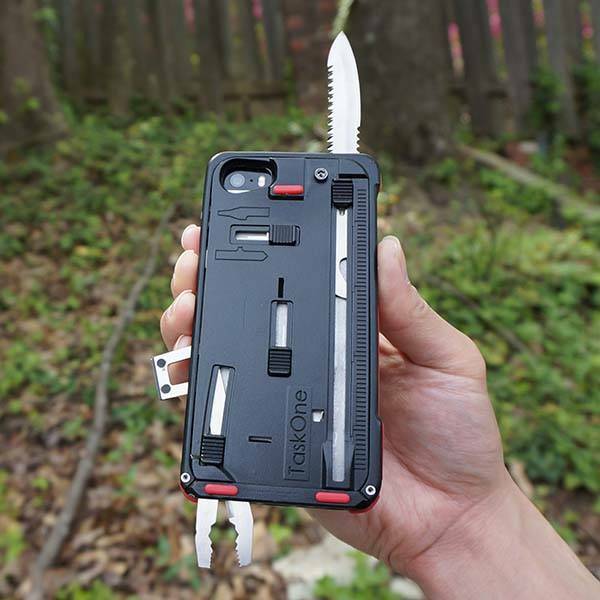 With built-in multi-tool, TaskOne G3 iPhone 6 case only protects your precious phone from tear and wear, but also offers many useful tools to deal with some emergent situations. The TaskOne G3 is a multi functional and rugged protective case designed for iPhone 6. As we can see from the images, the iPhone 6 case shows off a low-profile and sleek design, and it’s constructed of aluminum and polycarbonate in order to deliver a solid and strength construction to protect your phone from shocks and scratches. 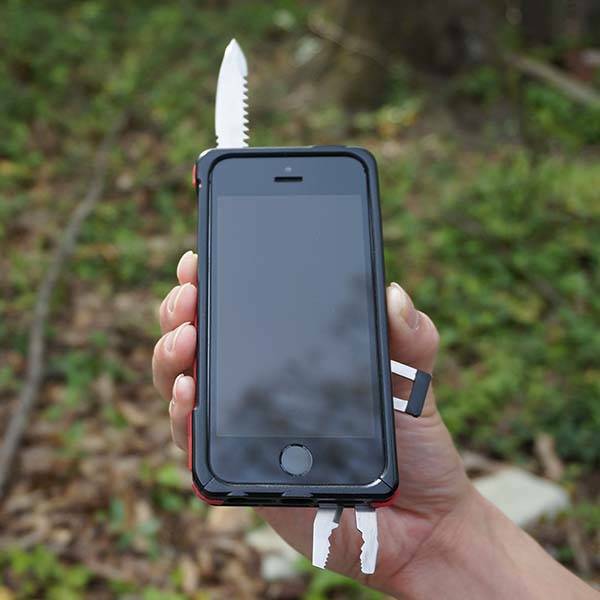 Most importantly, the iPhone case features multiple built-in stainless steel tools including 2.5″ knife with serrations, 1.8″ sawblade, magnesium-flint fire starter, pliers with wire cutters and 3-6mm Hex screw cutouts, 5″ ruler, 6 Allen wrenches, 6 box wrenches, wire stripper, small & large flathead screwdrivers, Phillips screwdriver, universal reciprocating saw-blade mount, and bottle opener. No doubt, using the powerful in-case multi-tool, you can cope with various cases. Moreover, integrated kickstands keep your phone in landscape or portrait viewing mode. The TaskOne G3 iPhone 6 case is available for preorder, and saving 25%. If you’re interested, jump to Tasklab for its more details. BTW, also don’t miss TaskOne iPhone 5 case and more related cool stuff by following tags.